In addition, and this is more important, if some bad installations are done by intentionally reckless installers, the others are done because an installer doesn’t know any better. An installer is thinking that he is doing his best, or he was trained to do it this way and as a result he is doing something that should not be done! Just one example, I have a co-worker who has about ten years of experience and should be considered as a journeyman now. However he was very poorly trained and he is making a lot of unnecessary steps which could be avoided if he would be having better training and education. For instance, when he is running a heat run he put a hanger on first, and then a 5 feet long piece of pipe, after that another hanger and another piece of pipe and so on! This is a huge waste of time and materials. If he is cutting a pipe he is making multiple marks on it before he actually cut it out. If he is cutting a duct he put it on the floor up side down and again making unnecessary marks. If he is nailing blockers he nails them up side down and so on. However, the most appalling is that this guy use to work as a foreman in another company! He told me that he was very stubborn and demanding in his pursuit to make everyone in his crew to do everything just like him! They even gave him a nickname “Dickhead”. Can you imagine how many ignorant installers he trained over that time and how many ignorant installers were trained by his trainees? Just unbelievable! On the other hand he is a smart guy and if he is doing something new he would learn it very fast, but unfortunately he cannot reset himself and his old knowledge which stands in the way of his success all of the time! So, what can you do to avoid such a fate? You have to educate yourself! 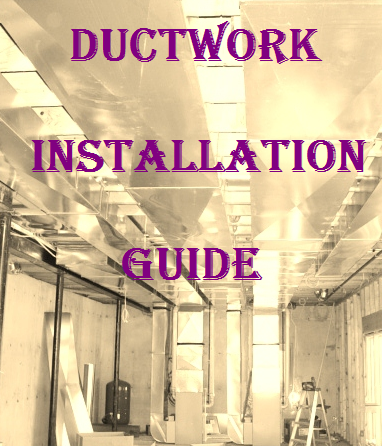 If you are lucky enough and working for a good company with good traditions nonetheless I would recommend you to buy my “Ductwork Installation Guide”, because it will take many years for you to come to know everything that you are able to find in this textbook and what is most important – to learn how to do installation the right way! Dozens of people already bought this book and you won’t be the first nor you won’t be the last! If you are not that lucky I strongly recommend you to buy this textbook or if you have any doubts at least read a chapter or two and see for yourself if it is working for you or not! Many people were doing it and I will refund your money if you decide to buy a book as a whole! So, give it a try, otherwise welcome to the "Wall of Ignoramuses" page! As you can see the installers who were doing a Rough-in in this house didn't know how to cut out the bottom plate! As a result they probably spent at least 15 minutes for each hole instead of only from 2 to 4 minutes if they would know how to do it right! The 4” rigid flex, which you can see in the picture to the left, is a part of the fresh air intake. So in this case an installer didn’t know that this flex or pipe should be insulated and forgot to install a fresh air damper. While he was doing gas piping he forgot to install a drop leg, tie up the flexible gas line and probably a few more, but I got only one picture of this ignorant installation! The 4” B-vent pipe in the next picture was installed too close to the brick chimney. Because of that the flue gases staying around the pipe were there for too long, water vapors are condensing on the pipe and as a result you can see that the pipe started to rust. A condensate line in the next picture was run with only three mistakes! An installer failed to install a P-trap; he did not run a separate pipe from the pan and he directed an elbow to the pan. However I hope he installed a sensor, which will shut off the air handler if the water actually would fill the pan out! What you can see in this picture is a crawl space. It always make me angry when nowadays people build their houses on the crawl spaces! I probably won’t ever understand why they are doing that! The homeowner in this particular case is claiming that this crawl space is actually 5’ deep, but in the picture it looks deeper. He could've easily add three more rows of the cinderblocks and made it a basement! How much has this guy have saved? When it comes to the ductwork/furnace installation this kind of crawl space makes work there just unbearable! You can’t stand on your knees because you will be too short unless you are Michel Jordan and you can’t stand on your feet unless you are Pygmy! What you can see in the pictures above is definitely a hack job! All PVC pipes are out of the plumb. Even ¾” condensate line has two mistakes. Installer probably tried to make a handle for the furnace, otherwise why would he install that 2" elbow with the short piece of open pipe! It is a big mystery to me. As you can see in the first picture to the left he was too lazy or maybe he was trying to save a few bucks, but he made a combustion air intake right from the basement. It is true that some manufacturers allow you to do that, but I believe that it significantly undermines high efficiency notion which was proposed to the homeowner in the first place! PVC venting in the pictures looks very sloppy! However it is difficult to say just looking at these two pictures if it was done intentionally which would then make it belong to the Wall of Shame or an installer was just ignorant and then it should remain on this page… Its looks like that an installer was trying to keep the pipes as close to the furnace as possible, but as a result you can see two drunken white skin pitons climbing from the furnace to the joist space! The cold air return duct also looks very weird! Of course, maybe an installer didn’t have any choice, but it seems to me that this particular installer just didn’t know any better! This installation is just plain wrong! In my life I saw a lot of bad mistakes, but never like this one! This ignorant installer connected a cold air boot to the back of the furnace! And look at the cold air return drop this guy saved a couple of bucks on the transition and now it looks like s--t! I just could not believe my eyes! Someone installed a humidifier right above the media filter! Such an ignorance! Should I keep commenting on this one? Probably not! be proud of himself: he combined two codes together and even improved them a bit! He mounted an Automatic Digital Humidifier Control below the humidifier! Other than that everything is done just fine. That means that this guy was trying his best, but lack of education played a bad joke for him! What you can see in the pictures above is another example of how an ignorant electrician or maybe low voltage guy can destroy integrity of the heating system and even endanger some innocent lives! I can imagine that when this person was pulling wires from outside he lost his balance and grabbed a hanger, which is holding the B-vent elbow in place! As a result, this elbow was broken and the homeowner was lucky to be alive - just look at the firestop, it is already rusty! I think that all humidifier manufacturers allow a humidifier to be installed on the supply plenum; however, a good installer should know better. Of course both sides - an installer and a homeowner are at fault that this happened: one of them installed it on the back side of the plenum in a place barely reachable, and another one never bothered to look in that direction, but a good installer couldn't make such a mistake! Look at this monstrous installation! The installer who posted these pictures on the Wall of Pride forum was really thinking, and I’m not kidding, that this installation is a good one!?! He is claiming that this is 120,000 BTU furnace with a 4 ton AC, so what? This kind of furnace doesn’t require the use of two 24 x 16 return ducts with these enormous offsets! He should put this furnace on the filter box and use single 24 x 12 cold air drop, that’s it. installation looks better, but this way it’s looks weird. The same thing happens with the condensate lines. I would never run them this way, it looks weird also! Besides that, I would never run a condensate line to both outlets from the AC coil and from the furnace because it was done absolutely wrong. He did not put a drop leg on the gas pipe and he posted blurry pictures, otherwise there are probably even more mistakes. "Ha. very critical for someone who hasn't posted any of their jobs in the wall of shame. Take a look at their wall of pride, that explains everything. Love the part where he charges people per email for his 'expert' advice, he must have have gotten engineering ring polished." "very critical for someone who hasn't posted any of their jobs in the wall of shame." - Who would post his own job on the "Wall of Shame"? The answer is .... But, I'm sorry ignoramuses usually posting on the "Wall of Pride"! "Take a look at their wall of pride, that explains everything." - Really, I took another look at the Wall of Pride, so what is wrong? "Go clean some ducts" - This guy did not realize that it was a furnace replacement, who would clean any ductwork if it were not part of a contract? Moreover, why is he thinking that the ductwork is dirty in the first place? "he must have have gotten engineering ring polished." - Is he trying to reduce it to a sexual slur? Well, it just proves my point! "On many jobs I end up standing in as an architectural and engineering consultant. I've designed numerous HVAC systems, custom evap/condensing coils, and yes, ductwork. Most of my work is fixing degreed architects' & engineers' screw-ups. That said, I've never physically made nor installed an entire job with my own two hands. Why? Because it *IS* a job that must be done by a professional if you want all of the performance you're paying for." - And this one just proves my point again: If everything else is equal then training is something that points to someone that isn't afraid to work extra hard to learn their job! Then and only then you can post your installation pictures on the "Wall of Pride" and be proud of it. 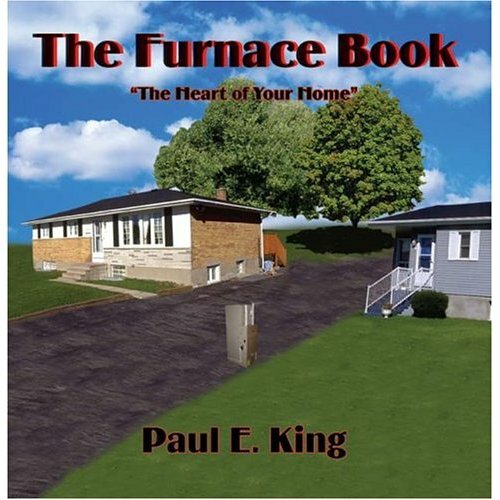 I purchased a Trane 20 LXi Heat pump, matching coil and 95% efficient variable speed propane furnace in Nov 2009. In the 15 months I've had the system the HVAC contractor who installed it has been here 15-20 times. This was the top of-the-line system and very expensive. Since it is in my basement and there wasn't enough room to set the coil on top of the furnace, they placed it just below the Clean Effects air cleaner and atop a 90 degree transition duct in the return or negative air pressure side of the system. Water drops are coming off the coil ending up in the transition duct below the coil when the system runs on high speed and at times there is enough water pooling in the duct to leak out on the floor. They replaced the drip pan on the coil as there was a hairline crack, replaced the coil, and still there is water dripping down. The condensate drain is trapped correctly. My feeling is that the water is a result of the air rushing down through the coil along with the gravity. If the coil was installed above the furnace any droplets that left the coil would fall back on the coil. So my question is this..... Is this a standard practice to install a coil vertically on the return side of the air handler? The contractor tells me they do this type of installation all the time, but I can't help but think this whole installation is botched and the system is going to be problematic from here on out. I met with the owner of the company today. He is a great guy and said the install was improper right off (he wasn't involved in the original installation). He was very thorough and designed a new configuration (switching the coil and furnace positions) that will put the coil in proper relation to a new down flow furnace. He indicated there were more issues than just the coil...that some of the duct transitions were not designed well and would cause turbulence. He also wasn't aware of some of the other issues/service calls I had. It is good to know there are still businessmen out there that stand behind their product and offer real customer service. This design is wicked! You most certainly know how to keep a reader entertained. Between your wit and your videos, I was almost moved to start my own blog (well, almost...Ha-Ha!) Fantastic job. I really loved what you had to say, and more than that, how you presented it. Too cool!